Democratic control over the armed forces will be enhanced as well. 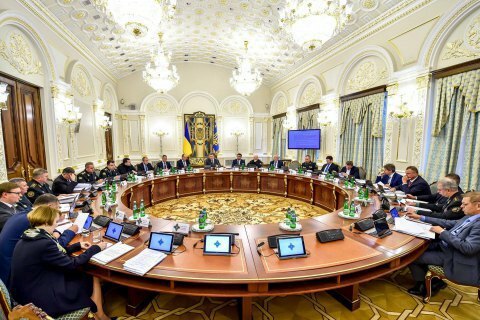 The National Security and Defence Council (NSDC) has approved the Strategic Defence Bulletin, President Petro Poroshenko's press service has said. "We launched a true restructuring of the defence and security sector with a view to joining NATO. The NSDC meeting endorsed the Strategic Defence Bulletin and the issues pertaining to the planning and implementation of the state defence order. This is a roadmap of reforms for the defence and security sector, which is required for the transition to NATO standards," he said on 20 May. "We have finally abandoned the system of the Soviet army and started to build truly efficient Armed Forces. It is very important for me because it is the evidence that Ukraine and NATO speak the same language and understand each other well,” he stressed. According to the president, the defence and security reform must result in the creation of efficient, mobile, well-equipped and united defense forces on the model of 2020 that will meet the NATO standards and principles and will be able to defend the country. He made a special point that the democratic civil control over the security structures of the state would be enhanced: "It is a feature of a democratic state. After the restoration of Ukrainian sovereignty over the occupied territories, we will have an opportunity to discuss the issue of appointing a civilian to the post of defence minister." Gorshenin Institute to host news conference "Crimean Tatar genocide 2.0"